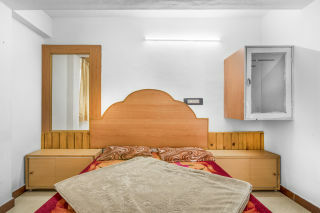 Located 4.1 km from Kodaikanal Lake, this offering of a two-bedroom apartment can accommodate up to six guests. 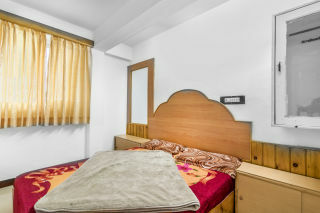 The apartment is 3.1 km from Bear Shola Falls and 4km from Palni Hills. Parking is available, as are the services of a caretaker and housekeeping. 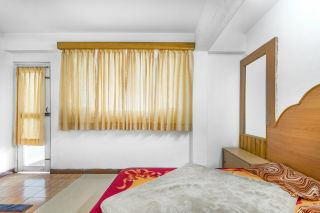 Your space The property is nestled in the serene valleys of Kodaikanal. 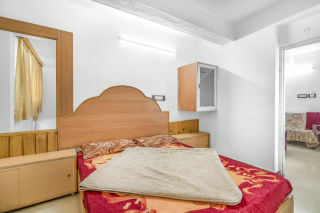 The bedrooms are each furnished with a double bed, bedside tables, and a wall-mounted mirror for dressing convenience. 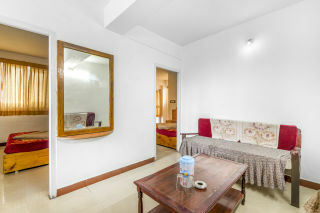 The rooms open to a balcony, which commands a magnificent view of the city. The bathroom is fitted with western sanitary ware. The living room houses a comfy sofa set and a coffee table. Places to visit: Kodaikanal Lake - 4.1 km. Berijam Lake - 22.7 km. Bear Shola Falls - 3.1 km. Kodaikanal Solar Observatory - 4.9 km. Kodaikanal Golf Club - 7.9 km. Palni Hills - 4 km. Green Valley View - 7.3 km. Pillar Rocks - 8.8 km. Palani Railway Station - 64.3 km. Madurai International Airport - 132 km. 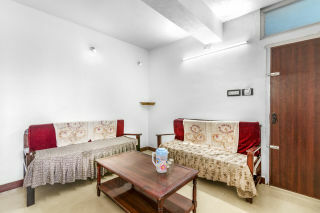 Kodaikanal Bus Stand - 1.4 km.